During a time in World history when there were legal drinks that contained cocaine, Vin Mariani, meaning Mariani Wine, exceeded the others by providing an alcoholic beverage with almost four grams more cocaine per ounce than any of its competitors. The process used to create Vin Mariani was to soak the cocoa leaves in Bordeaux wine. The ethanol in the alcohol would cause a chemical reaction in the leaves and act as a solvent that would extract the cocaine from the leaves. 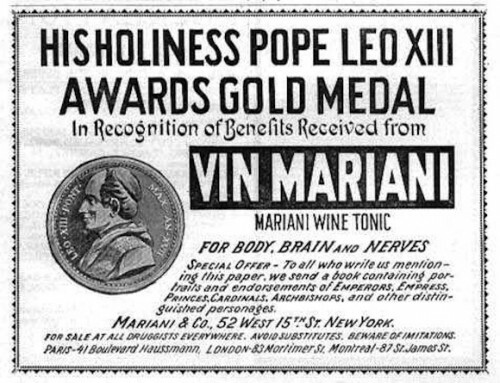 Due to impressive marketing by the drink’s creator, Angelo Mariani, which included an endorsement from People Leo XIII, the drink took off rapidly in Paris and even in America. However, an American named John Pemberton copied the drink’s recipe and procedure. Pemberton had to develop a non-alcoholic cocaine-laden beverage during prohibition, so he created Coca-Cola. By itself, cocaine yields benzoylecgonine and ecgonine methyl ester. However, when alcohol is added to the equation, a powerful psychoactive agent called cocathylene is formed. It is far more potent, and dangerous, than cocaine itself. The drink was popular from the 1860s to around 1915 and has been imbibed by some famous historical figures including “Buffalo Bill” Cody, Thomas Edison, Ulysses S. Grant, Jules Verne, Queen Victoria, H. G. Wells, Emile Zola, and Frederic-Auguste Bartholdi, the creator of the Statue of Liberty. 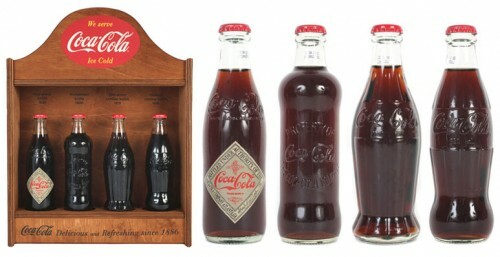 The prototype Coca-Cola recipe was formulated at Pemberton’s Eagle Drug and Chemical House, Columbus, Georgia, originally as a coca wine. He may have been inspired by the formidable success of Vin Mariani, a European coca wine. 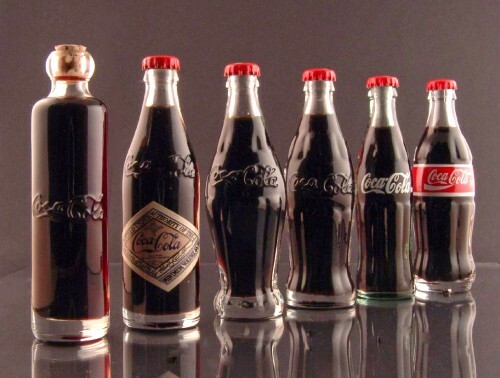 By 1888, three versions of Coca-Cola – sold by three separate businesses – were on the market. A copartnership had been formed on January 14, 1888 between Pemberton and four Atlanta businessmen: J.C. Mayfield, A.O. Murphey; C.O. Mullahy and E.H. Bloodworth. Not codified by any signed document, a verbal statement given by Asa Candler years later asserted under testimony that he had acquired a stake in Pemberton’s company as early as 1887. John Pemberton declared that the name “Coca-Cola” belonged to his son, Charley, but the other two manufacturers could continue to use the formula. Charley Pemberton’s record of control over the “Coca-Cola” name was the underlying factor that allowed for him to participate as a major shareholder in the March 1888 Coca-Cola Company incorporation filing made in his father’s place. More so for Candler especially, Charley’s position holding exclusive control over the “Coca Cola” name continued to be a thorn in his side. The deal was actually between John Pemberton’s son Charley and Walker, Candler & Co. – with John Pemberton acting as cosigner for his son. For $50 down and $500 in 30 days, Walker, Candler & Co. obtained all of the one-third interest in the Coca-Cola Company that Charley held, all while Charley still held on to the name. After the April 14th deal, on April 17, 1888, one-half of the Walker/Dozier interest shares were acquired by Candler for an additional $750. In 1892, Candler set out to incorporate a second company; “The Coca-Cola Company” (the current corporation). When Candler had the earliest records of the “Coca-Cola Company” burned in 1910, the action was claimed to have been made during a move to new corporation offices around this time. After Candler had gained a better foothold of Coca-Cola in April 1888, he nevertheless was forced to sell the beverage he produced with the recipe he had under the names “Yum Yum” and “Koke”. This was while Charley Pemberton was selling the elixir, although a cruder mixture, under the name “Coca-Cola”, all with his father’s blessing. After both names failed to catch on for Candler, by the summer of 1888, the Atlanta pharmacist was quite anxious to establish a firmer legal claim to Coca-Cola, and hoped he could force his two competitors, Walker and Dozier, completely out of the business, as well. When Dr. John Stith Pemberton suddenly died on August 16, 1888, Asa G. Candler now sought to move swiftly forward to attain his vision of taking full control of the whole Coca-Cola operation. Charley Pemberton, an alcoholic, was the one obstacle who unnerved Asa Candler more than anyone else. Candler is said to have quickly maneuvered to purchase the exclusive rights to the name “Coca-Cola” from Pemberton’s son Charley right after Dr. Pemberton’s death. One of several stories was that Candler bought the title to the name from Charley’s mother for $300; approaching her at Dr. Pemberton’s funeral. Eventually, Charley Pemberton was found on June 23, 1894, unconscious, with a stick of opium by his side. Ten days later, Charley died at Atlanta’s Grady Hospital at the age of 40. With this action on August 30, 1888, Candler’s sole control became technically all true. Candler had negotiated with Margaret Dozier and her brother Woolfolk Walker a full payment amounting to $1,000, which all agreed Candler could pay off with a series of notes over a specified time span. By May 1, 1889, Candler was now claiming full ownership of the Coca-Cola beverage, with a total investment outlay by Candler for the drink enterprise over the years amounting to $2,300. In 1914, Margaret Dozier, as co-owner of the original Coca-Cola Company in 1888, came forward to claim that her signature on the 1888 Coca-Cola Company bill of sale had been forged. Subsequent analysis of certain similar transfer documents had also indicated John Pemberton’s signature was most likely a forgery, as well, which some accounts claim was precipitated by his son Charley. Posted on พฤศจิกายน 4, 2013 by Geranun®. This entry was posted in Coke, Food & Drink, Marketing, ShareaCoke, ห้องสาระ, โค้ก and tagged Coke, ชื่อโค้ก, บริษัทโค้ก, ประวัติความเป็นมาของโค้ก, ประวัติโค้ก, โค้ก, โคคาโคล่า. Bookmark the permalink.